Can you picture Tom Hanks as an alcoholic womanizer? Me neither. 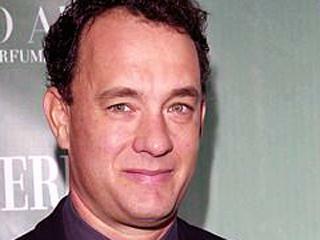 Hanks is slated to play the lead (what else?) in "Charlie Wilson's War," which is the true story of a congressman who helped to fund resistance fighters in Afghanistan. I can imagine Hanks playing an alkie, but a lover of many women? No way. I felt the same way about Bill Murray in "Broken Flowers." I'd love to hang out with Bill Murray, but kiss him? Not on your life.